There are some movie roles that are so iconic they are irrevocably linked to the actor who portrayed them: think Sylvester Stallone as Rocky, Sigourney Weaver as Ripley, Tom Cruise as Jerry Maguire, and the list goes on. But what about the actors who got thiiis close to being cast, or worse, turned down what turned out to be an iconic role? 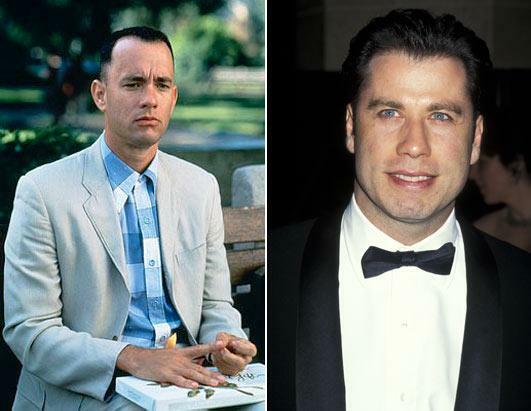 Whether they’ve moved on from what could have been or are still kicking themselves for a poor decision, here are 10 actors who came this close to being cast in iconic roles. Pretty mind blowing, huh? Yes, Travolta had first dibs at the role and turned it down. Which doesn’t really make sense since at the time he was trying to make a career comeback and didn’t really have a lot of choice roles to choose from. And yes, he regrets turning it down as a career blunder. Still, it gave Tom Hanks a way to continue steamrolling the box office, and Travolta would have to settle for a role in a little ensemble piece called “Pulp Fiction” instead. Considering “Pulp Fiction” resurrected his career, he made the right move!